LAS CRUCES, N.M. — Five players scored in double figures as New Mexico State used a balanced offensive attack to upend Northern New Mexico 78-39 Monday evening at the Pan American Center. Initially the Eagles went toe-to-toe with the Aggies and led 15-14 at 11:52 in the first half. 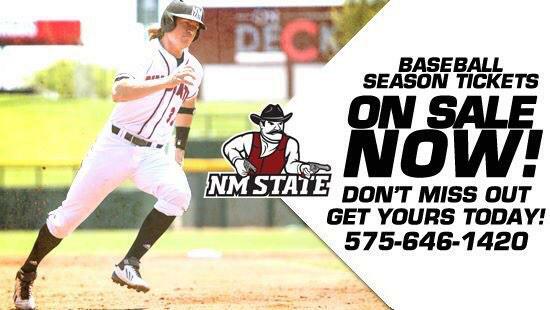 From there, however, NM State flexed its muscles. The Aggies finished the half on a 24-5 run and went into intermission with a 39-20 lead. It was more of the same in the second stanza as the Aggies opened with a 15-9 run and led 54-29 at 12:30. NM State was efficient on offense and hit 46 percent (28-of-60) of its shots. Meanwhile, NNM struggled to find traction against a tough Aggie defense and shot 29 percent (14-of-48) from the field. The Aggies also forced 21 turnovers, which turned into 17 points. NM State dominated the game in front of the basket and outrebounded NNM 44-26 – and hauled in 16 offensive boards. The Aggies also outscored the Eagles 22-14 in the paint. Senior Remi Barry scored a game-high 15 points and finished 5-of-6 from the charity stripe. Pascal Siakan, DK Eldridge and Ian Baker each scored 13 points and Braxton Huggins helped out with 10. With the win the Aggies snapped a three-game losing streak. NM State (5-8) returns to the hardwood Saturday, Dec. 27 against No. 24-ranked Colorado State. Tip is set for 7 p.m. at the Pan Am.